Thank you for your support of bradventures.com healthy nutrition and lifestyle products over the past 10 years! 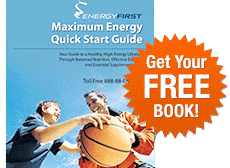 I've recently teamed up with EnergyFirst and will immediately discontinue selling products on my web site. I'm pleased to transition over to EnergyFirst's exceptionally high quality, all-natural products that I use with my family each and every day. EnergyFirst is operated by my good friend Gerry Morton. He is a nutrition expert, accomplished endurance athlete, and noted speaker on motivation and healthy living. Gerry lives and breathes health, and has built EnergyFirst into one of America's fastest-growing private companies devoted to outstanding customer service and the highest possible product quality. EnergyFirst specializes in protein shakes made with all-natural ingredients - no artificial sweeteners, no fillers, no shortcuts. I prepare an EnergyFirst protein smoothie for myself and my growing children most every morning. I also trusted Gerry and his products during my wife's pregnancy, when she had a picky pallet and a desire to avoid sugar, GMOs, hormones and artificial sweeteners. EnergyFirst was the first company ever to offer a Stevia-sweetened whey protein isolate supplement in 1997 and have continued to lead the industry with organic, all natural products. Their ProEnergy protein powder comes from pesticide-free grass pasture-fed cows not treated with rBGH, hormones or antibiotics. The product is healthy to be sure, but it also tastes fantastic! You will also enjoy their Greenergy green drink (specially designed to boost your energy and immunity), their Omega Mix blend (flax, sesame, sunflower and pumpkin seeds - great in shakes or on salads), their high potency Omega 3 Fish Oil, their Permalean bars and their extensive offering of Vitamin supplements. Take a look around their easy to navigate web site, email [email protected], or call them to speak with a trained nutrition expert at 888-883-6374 (888-88-ENERGY). 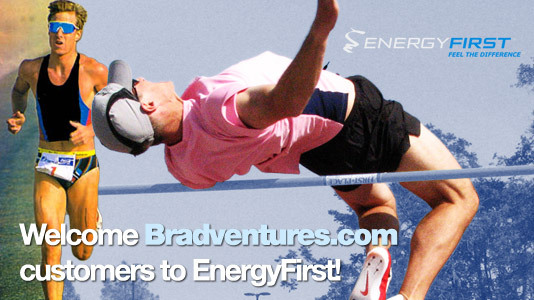 You can definitely take your supplement regimen to the next level with EnergyFirst! I encourage you to give EnergyFirst products a try with their 100% satisfaction guarantee or your money back. I wish you great success with your health and fitness endeavors, and am confident that you are in good hands with EnergyFirst for all of your nutrition needs.